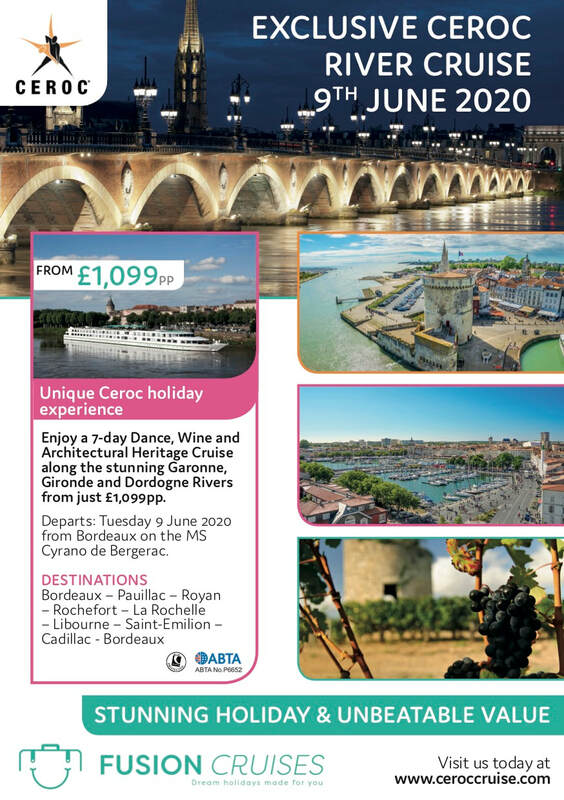 Enjoy a 7-day Dance, Wine and Architectural Heritage Cruise along the stunning Garonne, Gironde and Dordogne Rivers from just £1,099pp. Departing from Bordeaux on the MS Cyrano de Bergerac. 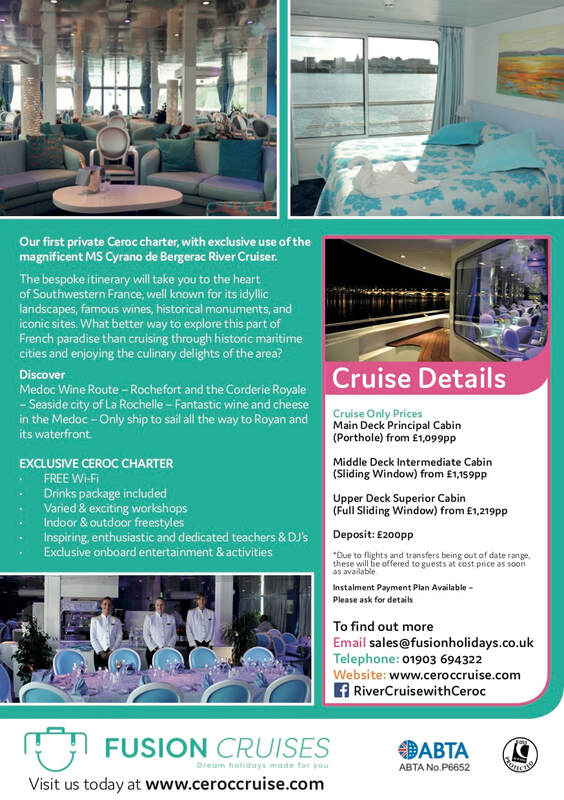 Our first private Ceroc charter, with exclusive use of the magnificent MS Cyrano de Bergerac River Cruise Ship. enjoying the culinary delights of the area? Discover the Medoc Wine Route – Rochefot and the Corderie Royale – Seaside city of La Rochelle – Fantastic wine and cheese in the Medoc – Only ship to sail all the way to Royan and its waterfront.